The Lake Bunyonyi Development Company (LBDC) was initiated in 1992 to address the environmental impact of farming around Lake Bunyonyi. LBDC is now a Ugandan registered charity and community-run company based in the south-western corner of Uganda. 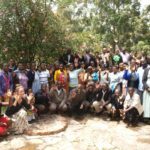 LBDC was formed in the collaboration of the Church of Uganda, Diocese of Kigezi; Africa Community Technical Service(ACTS); and the Lake Bunyonyi community. It’s base is Bushara Island Camp, a rustically beautiful resort and campground located on it’s own private island in the middle of Lake Bunyonyi. Since that time, the project has grown tremendously. 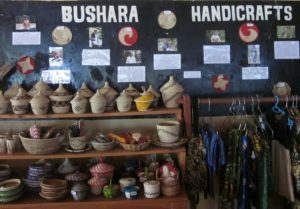 Bushara Island Camp has become a preferred tourist destination and now funds programs for agro-forestry and small livestock distribution, women’s craft handicraft groups, orphan-care, and hospitality training for local students. In 2001, the project was registered as a local non-government organization (NGO) and is now run independently of ACTS. Since its initiation, the LBDC has become a model of sustainable development with minimal financial input from outside sources. The Lake Bunyonyi Development Company thanks you for your involvement in helping the communities of Uganda. 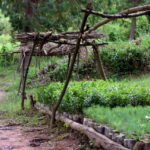 The Agro-Forestry Program began in response to the needs of local farmers of Lake Bunyonyi. The hills around the lake were losing their fertility due to over-farming and soil erosion. 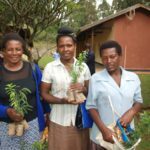 Staff were hired and trained to carry-out agro-forestry extension work and training of local farmers, and tree nursery was set-up on the neighbouring island, to provide the necessary trees for planting on hillside terraces. Community members are able to come to our agro-forestry plot and take a variety of different seedlings that improve the soil quality, reduce erosion and provide the farmer with better yields and cash crops. Since its inception, the agro-forestry program has aided hundreds of farmers around the lake. 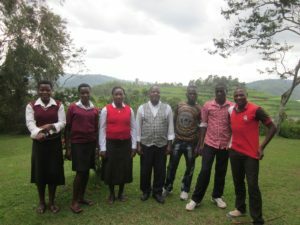 The management of the Lake Bunyonyi Development Company welcomes your inquiries and offers you a tour of the program and a chance to meet our staff and talk to the farmers who are benefiting from the program. The LBDC has created partnerships with nearby colleges who send students nearing the end of their studies to take part in a three-month work co-op on Bushara Island. They help out in different hospitality departments to gain skills in serving, food preparation, office work, housekeeping, and customer service. This program provides hands on training for students and helps them find gainful employment in the tourism and hospitality industry throughout Uganda, once graduated. Our women’s craft cooperative meets weekly on Bushara Island for sewing lessons, to practice new techniques, and to work on different craft projects. We have a small handicraft shop set up in our restaurant and all proceeds go directly to the crafters. We sell a variety of products made locally, from hand woven baskets and hats, wood carvings, quilts, tablecloths, dresses, purses, bags, and laptop cases. It’s a great place to shop for yourself or to bring a unique gift home to your family and friends!